Inspired by the famous Dole Pineapple Whip float drink that is found at Disney Resorts and the Dole Plantation, and aided by the adorable, juicy, sweet baby pineapples shipped to me by Frieda's (thank you, Oakley! ), I present you with my DRUNKEN PINEAPPLE WHIP COCKTAIL . 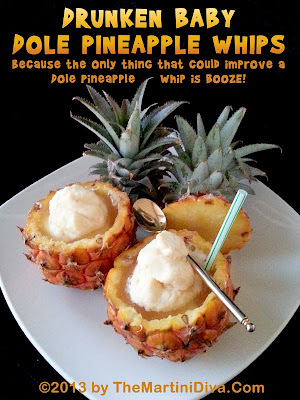 . . because the only thing that could improve the Dole Pineapple Whip drink is booze! Cut the tops off the baby pineapples and set aside in a sealable plastic bag. Trim the leaves off the bottom so the cups will sit up. You might even have to slice off a flat part. Using the melon baller, scoop the pineapple meat out of the base of the pineapples, leaving enough of the shell for a viable cup. Watch out for that trimmed bottom! Set the pineapple meat aside in a blender. Seal the pineapple cups in with their tops in the baggie and refrigerate. In the blender with the pineapple meat, add the lime and lemon juice and 3 ounces of the Dole Pineapple juice and blend on puree until ALL the pineapple chunks are gone and the mixture is smooth. Pour this into the quart baggie, seal tight and lay flat in the freezer for an hour to two hours or until the mixture reaches a slushy stage. Put this back in the quart baggie and refreeze until it reaches soft serve stage. 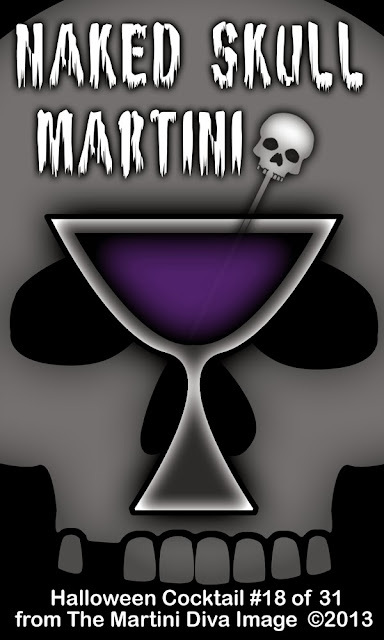 In a cocktail shaker filled with ice, add the rum and the other 2 ounces of pineapple juice and shake until chilled. 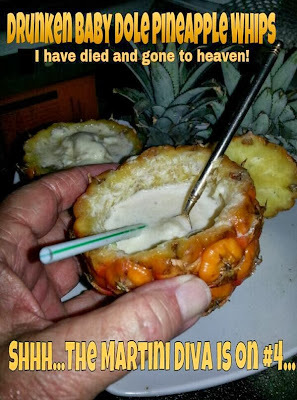 Pour this into the well around the pineapple ice cream, add a short straw and a spoon and serve! For regular sized pineapples, triple or quadruple the recipe. Feel free to use Dole canned, crushed pineapple if you can't find fresh pineapples and you're serving in Tiki Cups. Why Dole? Because, frankly, it's the only canned pineapple and pineapple juice I've ever had that doesn't taste like the can and doesn't have tough bits of core throughout. Most recipes you'll find for the Dole Pineapple Whip call for Cool Whip or Whipped Cream, but I think good French Vanilla Ice Cream is a way better idea!